Messing About in Boats, 24 x 18 inches, acrylic on canvas. $400.00 for the original painting. 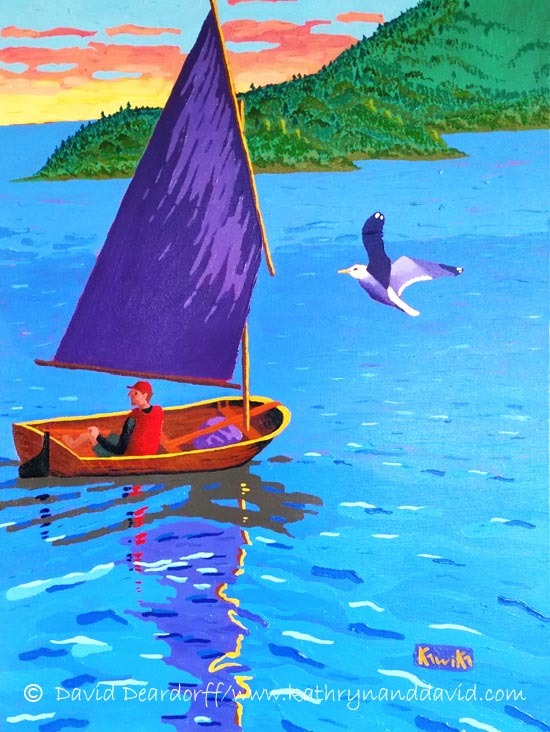 Kawika painted this scene from a photograph he took during the Regatta at the finale of the 2016 Wooden Boat Festival in Port Townsend, WA. More than 300 boats were sailing on Townsend Bay that afternoon; a spectacular sight!